The Fall Dance Concert this Thursday through Saturday, Nov. 16-18, will close with a high-energy street jazz piece called Get Outta My Way, created by acclaimed choreographers Brian and Scott Nicholson. It features music by Kylie Minogue. 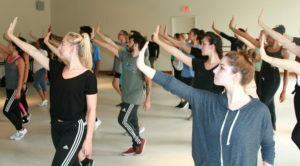 The Nicholson twins, who are Ariana Grande’s world tour creative directors and lead dancers, came back to the College of Fine Arts’ dance program in October for their second residency in less than two years, leading master classes as well as rehearsals to get students ready for the upcoming event. 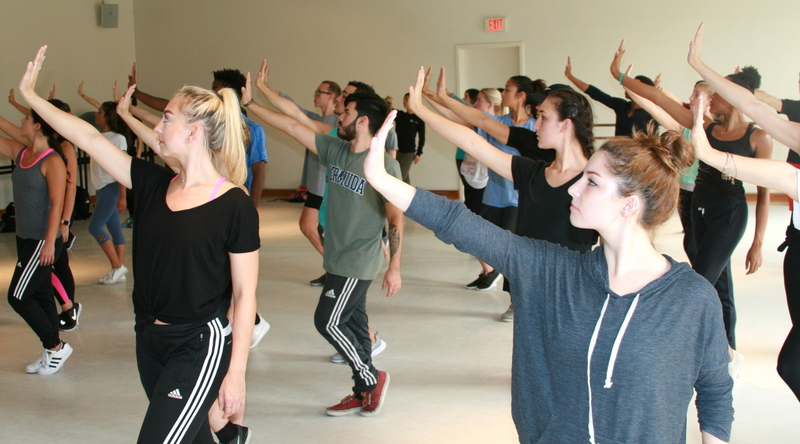 The popular annual Fall Dance Concert is filled with variety and versatility, in which dance faculty and guest artists choreograph dance based in theatricality. In conjunction, Visual Arts will host the Fall for the Arts sale.